My Turn: Martin Luther King’s quest to stop the nuclear arms race https://www.concordmonitor.com/KIngs-quest-to-stop-the-nuclear-arms-race-22786447 By WILLIAM LAMBERS For the Monitor January 21, 2019, Civil rights champion Martin Luther King Jr. was also an activist for nuclear disarmament. Dr. King used his voice for peace during the Cold War nuclear arms race. He can inspire us today to finish the journey of eliminating all nuclear weapons. The year was 1958. The Soviet Union and the United States were developing and testing nukes at an alarming rate. In March, Dr. King received a letter from Norman Cousins and Clarence Pickett of the National Committee for a Sane Nuclear Policy. King was asked to support a statement urging an end to nuclear testing. He joined the SANE movement right away. In April, Dr. King also signed an appeal by Protestant clergyman on halting nuke tests. The public outcry against nuclear tests helped encourage President Dwight Eisenhower to start negotiations with the Soviets on a test ban treaty in 1958. In October, King joined a statement to the U.S. and Soviet negotiators in Geneva. Eisenhower proposed a suspension of nuclear tests during the talks. There were no nuclear tests by the U.S. or the Soviets from late 1958 into 1961. His successor President John F. Kennedy was able to produce a limited treaty with the Soviets in 1963 banning nuclear tests in the atmosphere, underwater and outer space. Underground tests did continue. The 1996 Comprehensive Nuclear Test Ban Treaty, banning all tests including underground, has yet to be ratified by the U.S. Senate. President Donald Trump could ask the Senate to ratify this treaty and fulfill one of Dr. King’s goals of ending nuke tests forever. 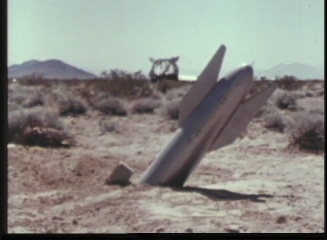 Ending nuclear testing was seen as a critical step toward stopping the arms race. Dr. King understood the threat of nukes. The goal of eliminating nuclear weapons has been shared by successive leaders including presidents Ronald Reagan and Barack Obama. President Trump has yet to take action on eliminating nuclear weapons. Instead Trump has sought to scrap the Iran nuclear deal and the INF Treaty with Russia. We have lost any momentum in reducing the nuclear danger. There are still close to 15,000 nukes worldwide, according to the Arms Control Association. Dr. King’s words can inspire us to jumpstart nuclear disarmament. Instead of nation’s wasting dollars on nukes we could feed the hungry, end disease and save the environment. As we celebrate Martin Luther King Day listen to his words and be inspired to take action for world peace. The Western allies built nuclear rockets and artillery shells meant to repel invading communist forces, but there was another, often-overlooked weapons category in play: mines. This was a category British engineers at the Royal Armament Research and Development Establishment (RARDE) were ready to fill with an atomic land mine. In the YouTube video above, the channel Plainly Difficult describes the history of Blue Peacock. ……. Blue Peacock was designed to be buried on German soil along likely Soviet routes of advance. As the British were pushed back, the Soviet Army would advance, and probably would set up things like headquarters, supply depots, and other units directly above a buried Blue Peacock mine. Once the bomb went off, a ten-kiloton atomic explosion would made a significant dent in the Soviet invasion force. It is a quaint rural hamlet on the coast of East Yorkshire with around 600 people and a few small amenities. Life in Skipsea is peaceful, sleepy and quiet, but a controversial proposal put forward by scientists 65 years ago threatened to effectively wipe out the village from existence and change the face of the seaside village forever. In 1953, almost 240 miles away from Skipsea in another similarly small Berkshire village called Aldermaston, scientists at the Atomic Research Establishment seriously considered detonating a nuclear weapon next to Skipsea. At the time it had a medieval church and the remains of a Norman castle but not much else, and its close proximity to the RAF base at Hull made it an ideal spot to explode an atomic bomb. In the midst of the Cold War, the UK wanted to find a coastal site for an above-ground atomic bomb explosion after detonating under the sea off a group of islands near Australia in 1952. They first opted for a Scottish beauty spot called Duncansby Wick near Caithness in the Highlands of Scotland, but this plan was halted by the damp. They turned their attention to Donna Nook in Lincolnshire before settling on Skipsea. However, the people of the small East Riding village were not going to relinquish their hamlet without a fight. Unsurprisingly, community leaders rallied to protest against the idea arguing the site chosen was too close to bungalows and beach huts. The area’s MPs encouraged the government to reconsider the radical plan and with opposition to the idea too fierce, the government backed down and secured Skipsea’s future with the bomb test carried out at Emu Field – a desert area in South Australia. The village was still used later on by The Royal Observer Corps as a site for a Cold War observation post on the east coast of England. The site remained active from October 1959 until its decommissioning in September 1991. It gathered dust for years before being restored by an enthusiast ten years ago. People may not think there is much to do in Skipsea with the village home to a couple of churches and post offices, a village hall a pub and a few shops. However, this tale of old will just make you appreciate the fact that this quiet, sleepy village even exists at all. With the arrival of the Bomb and its immense destructive power, the efforts to protect elites and commoners alike from swift destruction assumed novel and at times grotesque forms. Civil defense foundered in America upon the sheer scale of the problem—getting tens of millions of urbanites out of cities and into shelters before enemy nukes arrived. Ultimately the United States quietly gave up on protecting the majority of its residents from nuclear attack via shelter, and opted for a grand technological fix in missile defense. Elite shelter concepts, however, had better success. Ostensibly, this makes sense; targeting the enemy leadership can sometimes win a struggle. The assassination of Admiral Yamamoto by the U.S. Navy in 1943, for example, derailed Japan’s defense of its island conquests. But such a policy opens a door into a very dark room, as many leaders instinctively know. Tofrom early on in the Nuclear Age the U.S. government explored numerous ways to keep itself safe during and after Armageddon. The Greenbriar Resort in West Virginia, a grand old vacation destination abounding in stately elegance, now includes a Cold War extra amongst a tour of its premises: the congressional bunker built in the late 1950s under the guise of a resort expansion. The Greenbriar bunker is a true time capsule, its rotary-dial phones and fusty office chairs ready for the cast of a period movie. The Greenbriar bunker was never used for its intended purpose and was decommissioned in 1992 after a news expose. When members of Congress evacuated the Capitol on September 11, 2001, they flew to the Mount Weather emergency command facility in the Blue Ridge Mountains. Now run by FEMA, Mount Weather can shelter several hundred people from all three branches of government for months. Along with Congress agencies such as the Federal Reserve made accommodations for apocalypse, including giant vaults full of currency . As Strangelovian as it sounds, the work of returning American society to some semblance of pre-war routine would depend on cash and banking. So are there deep bunkers carved into the American soil still hiding in the dark? Vast sums have been spent since 9/11 and much is unaccounted for. But the same concerns that kept super bunkers from being built – cost, capacity and effectiveness—mitigate against any grand caverns of doom.